Nancy – Nimes predictions, betting tips and preview 16 Jan 2017 – The hosts will unexpectedly beat one of the leaders. Nancy – Nimes predictions for France Ligue 2 match at Stade Marcel Picot, Tomblaine. The Crocodiles will not be able to swallow prey and break their teeth today! Read on for live streaming info and our free predictions. 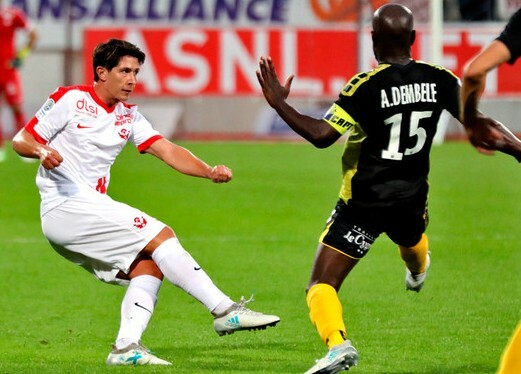 Do you want to watch live streaming of Nancy – Nimes bet live? Go to Unibet Live Streaming and place winning bets! The Thistles failed this season and instead of fighting for promotion, they are fighting for survival, which is very sad for a club with such big name and potential. Nancy are strong enough to meet the challenge of getting into the top 6, but this season, the team together with Lance became the main disappointments, and if their fellow sufferers are showing high-quality football now, Nancy still prefer to play draws, which are already 50% of all their matches! The Thistles have lost only seven games so far, while they are 4 points above the relegation zone, at the same time, Les crocodiles have lost only one game less, but sit on the podium! The bookmakers offer the guests as favorites, but will everything be as easy for them as on paper? Nancy are a tough nut to crack at home and it seems that they are no match for the guests. Nancy failed the last two home games, but they met some of the best clubs in the league, and before those defeats, they took points in all home games. Only four teams have scored more at home, then the Thistles, so their forwards are always ready to upset the guests, while Nimes have not conceded only in one away game of the season in Tours, when they beat the main Ligue 2 outsider. Sure thing, the visitors` results are amazing – seven wins in their last nine rounds, but on the weekend they suffered a painful defeat at home against Lance, where it became obvious that the Crocodiles are not yet ready to keep up the pace and, most likely, they will not be able to extend their winning run.